Your little guy loves adventure. And comfort. 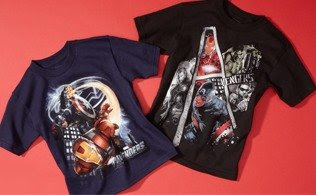 Outfit him in style this summer with truly heroic graphic tees he's certain to love. From Spiderman to Luke Skywalker and everyone in between, these t-shirt bundles feature so many of the characters he cherishes. Pair with jeans (and maybe a blanket cape) and watch your superhero fly into action.